Author: Berg, Elizabeth Set In . . . 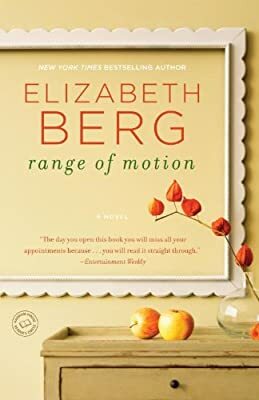 Description: In this exquisite, emotionally rich novel, New York Times bestselling author Elizabeth Berg offers a deeply satisfying story about the bonds of love and the balm of friendship. A young man named Jay lies in a coma after suffering a freak accident, and his wife, Lainey, is the only one who believes he will recover. She sits at his bedside, bringing him reminders of the ordinary life they shared: fragrant flowers, his children’s drawings, his own softly textured shirt. When Lainey’s faith in his recovery falters, she is sustained by two women, Alice and Evie, who teach her about the endurance of friendship—and the genuine power of hope. Filled with beautiful writing and truths about life, Range of Motion is hard to put down and impossible to forget.